Paraduxx Winery was founded in 1994 by the original founders of Duckhorn Winery, Dan and Margaret Duckhorn. Today Paraduxx along with Duckhorn and their other brands, is owned by the private equity firm, TSG Consumer Partners. Overall this company owns Canvasback, Decoy, Duckhorn, Goldeneye, Migration and Paraduxx – along with over 600 vineyard acres. 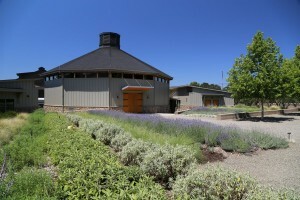 The initial focus of their wine making philosophy is still highly unique for the Napa Valley – blending Bordeaux varietals with non Bordeaux varietals – a classic example is their blending of Cabernet Sauvignon with Zinfandel. Glance at their current releases, they are all labeled red wines! 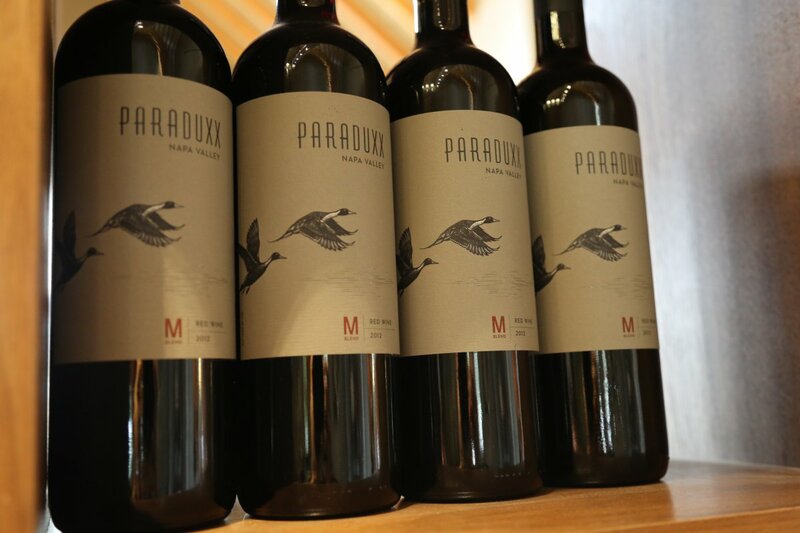 Paraduxx is a play on the word paradoxical – which means seemingly absurd or self-contradictory – and if you were in Bordeaux, blending these types of wines would be illegal. But this is the United States where if you want, you can blend traditional Bordeaux varietals with non traditional varieties. Tony Biagi was their founding winemaker (no longer is their winemaker). Tony has enjoyed a lengthy and successful career in the Napa Valley including primary wine making roles for Plumpjack and Hourglass as well as consulting for other premium brands. The wine making for Paraduxx used to be housed at Duckhorn (near St. Helena in the northern part of the valley). 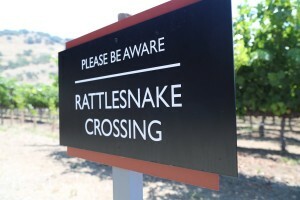 This was relocated in late 2005 to their current beautiful location off of Silverado Trail. The iconic building of the property is the 10-sided fermentation building The winery is located among the vines of the Rector Creek Vineyard (Yountville appellation) which they acquired in 1994. This property is 39 acres; varietals planted here include: Merlot, Cabernet Sauvignon, Zinfandel, Petit Verdot, Syrah and Cabernet Franc. 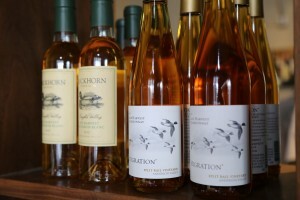 Along with several other vineyards under their ownership – they also source fruit from various premium growers in the valley. 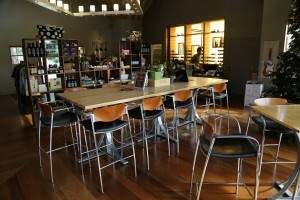 The tasting room is elegant, chic and very stylish – one of the more stylish tasting rooms in Napa Valley. 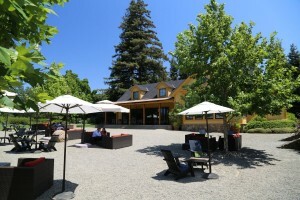 Like at Duckhorn, the outside feel of the tasting room is almost like walking up to someone’s home. Based on the type of tasting room and sit down experiences, this winery is not as popular with Limo drivers as some Napa wineries. Tasting is by appointment only although you can drop by and make a “10 second” tasting appointment if its not busy. 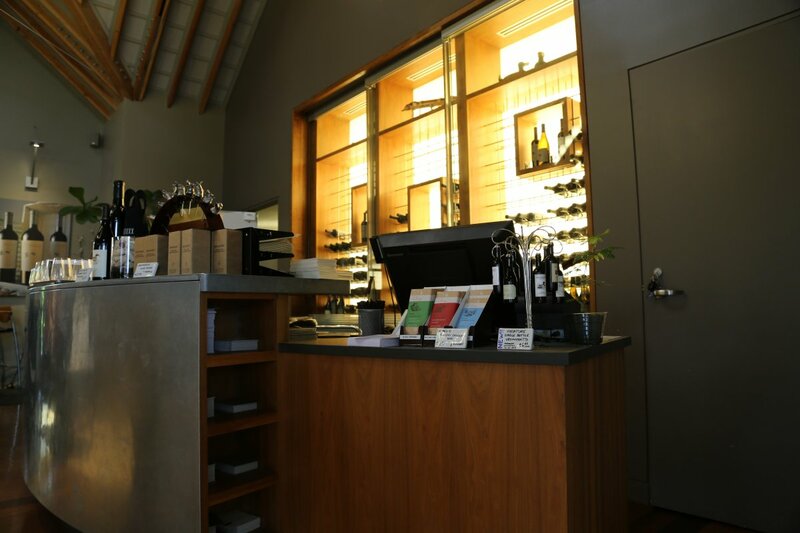 Paraduxx offers a wide variety of tasting options including their primary tasting which can be paired with cheese and charcuterie upon request. 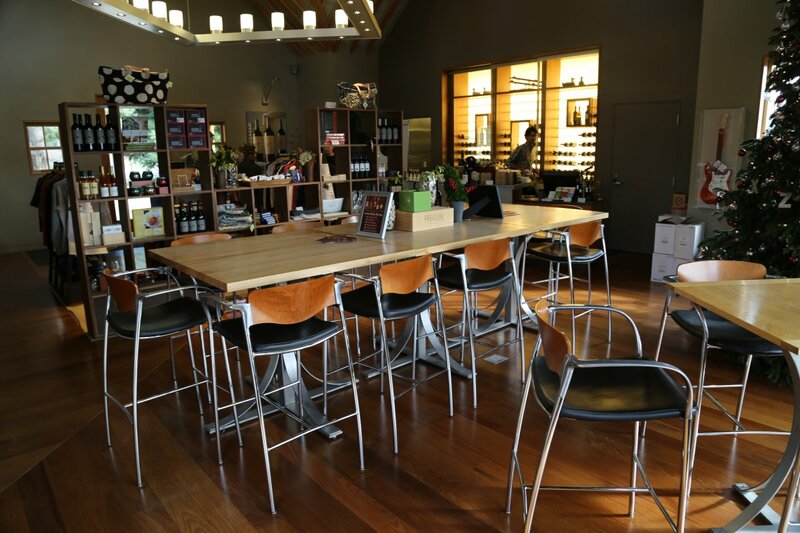 For more in depth and often private tastings choose from an Elevated tasting selection including learning how to blend wines and a taste of wines exclusively from their Rector Creek Vineyard. You either taste at the tasting counter inside or outside (the covered patio has heat lamps) at the sit down tasting tables. 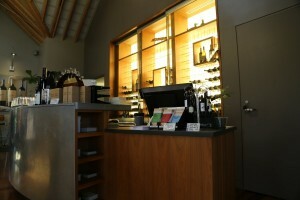 Relaxing music is played from outdoor speakers both in front and behind their main tasting salon. There is nothing quite like kicking back on one of their deep cushioned seats on the wood deck in the back on a warm late afternoon sipping Zinfandel watching the sun drop behind the Mayacamas mountains. 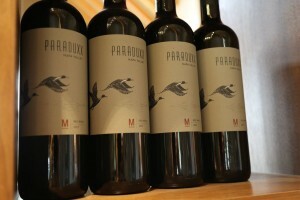 Paraduxx makes a variety of red wines – with the focus varietal being on Cabernet Sauvignon and Zinfandel. Your tasting experience will usually include a vertical of their predominately Zinfandel Cabernet Sauvignon blend simply called, Napa Valley Red Wine. 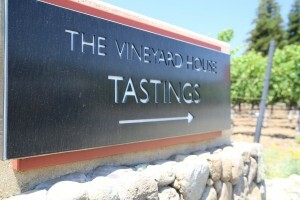 Its difficult to find a blend quite like this at other Napa wineries. On occasion at Paraduxx, we have heard “newbies” to the wine tasting experience thrown off by this type of blend when they are used to only drinking wines of individual varietals. 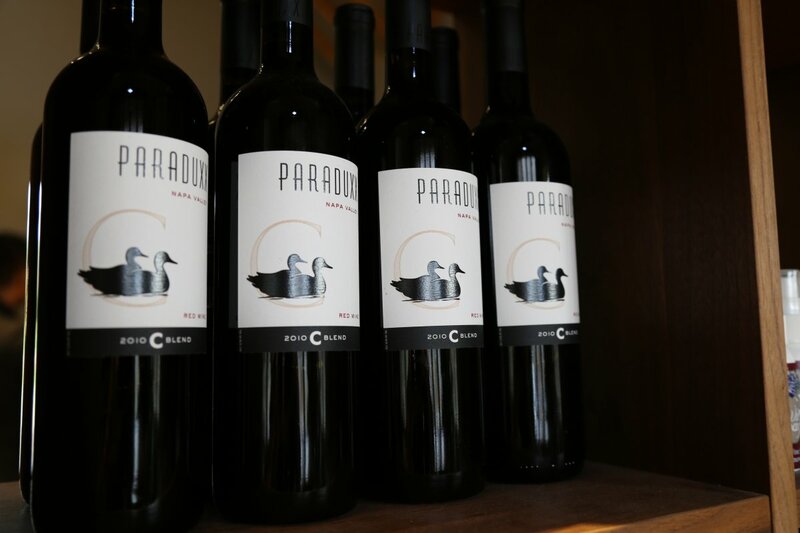 Unlike all wineries in the Napa Valley, when you look at the list of Paraduxx wines, every wine is labeled as a red blend. 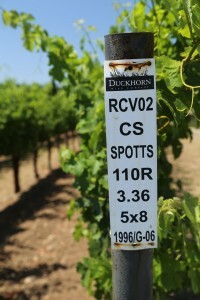 Typically Zinfandel is often included with Cabernet Sauvignon and select other red varietals in their red blends. During our first visit to the property many years ago, we tried the 2005 Rector Creek Vineyard Napa Valley Red sourced from vines adjacent to the winery. This wine reveals intriguing aromas of spice including nutmeg, cloves and vanilla as well as pleasing cherry and raspberry flavors. In the same style as the Duckhorn tasting, your wine educator will bring you the wines on a metal tray paired with a few snacks. Ever see Walk in the Clouds starring Keanu Reeves? 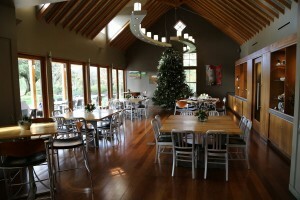 One of the scenes was filmed on site. Similar ducks (as with their Duckhorn label) appear on most of their wine labels & literature – in a tribute to Dan and Margaret’s last name (incidentally, Dan is an avid duck hunter). And if you find yourself in the world-famous Napa Valley in October – check out their annual harvest party (usually held early in the month on a weekend). This is a fun event that was started in 2004, it features new releases, barrel samples, grape stomping, music and food. Tickets can be ordered online in advance of this event. Note: this review has been identified as needing current release tasting notes – we will revisit for a tasting as time permits.